This article is about how we use your feedback to help develop our products. Some companies say they listen to our customers. Here is where we show you, rather than tell you. 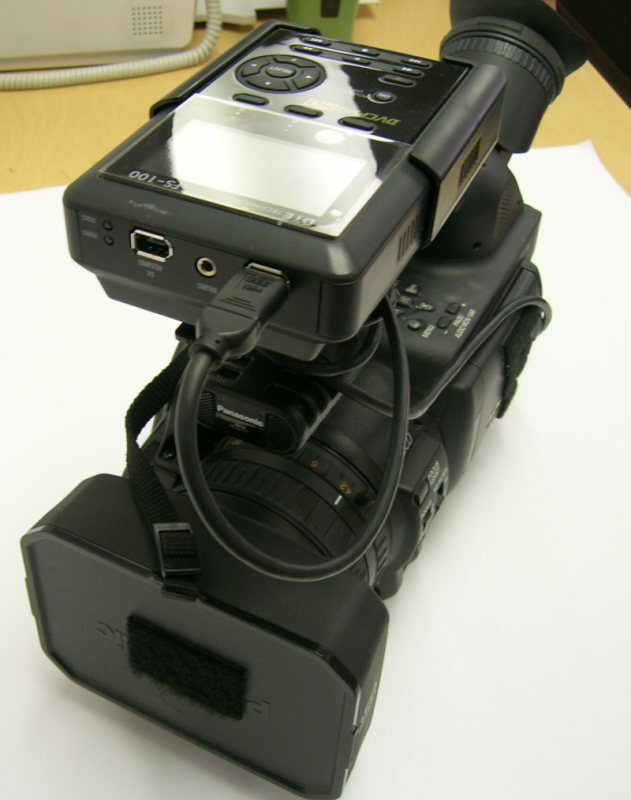 A gentleman from our local newspaper came in with a Canon HDV camera. The problem he ran into is that he uses a bottom mount by Bebob FireStore (FireWire HDD), but the cable that came with is just plain awful. 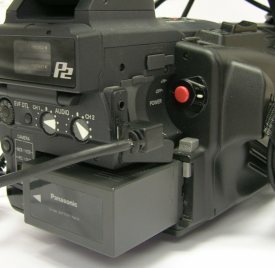 It's too long; and because of the configuration, he's already broken the port on his camera once, and is afraid that he's going to break it again when he's out shooting in the field. 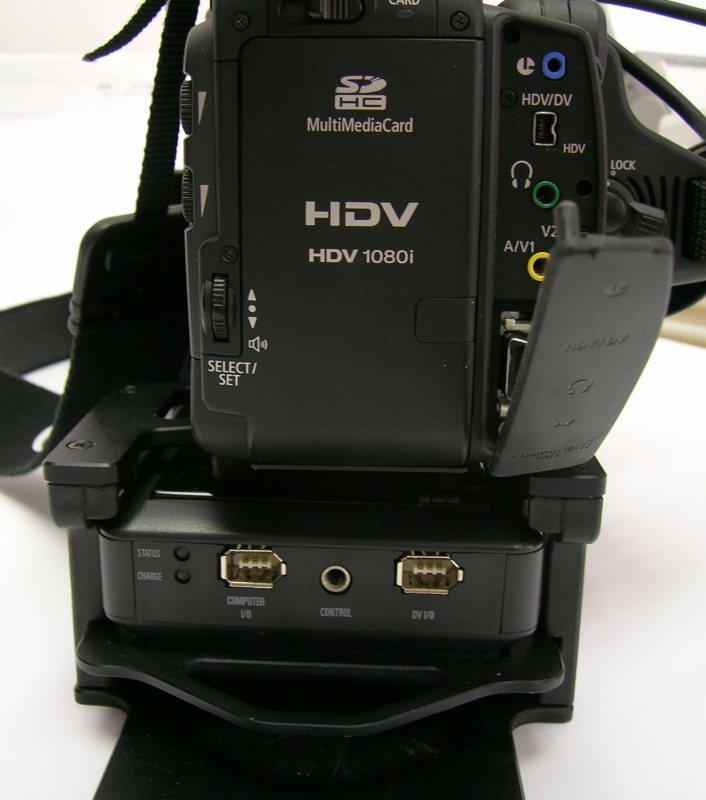 Here are pictures of his camera (Canon XH A1 - HDV 1080i with Bebob HDD mount). 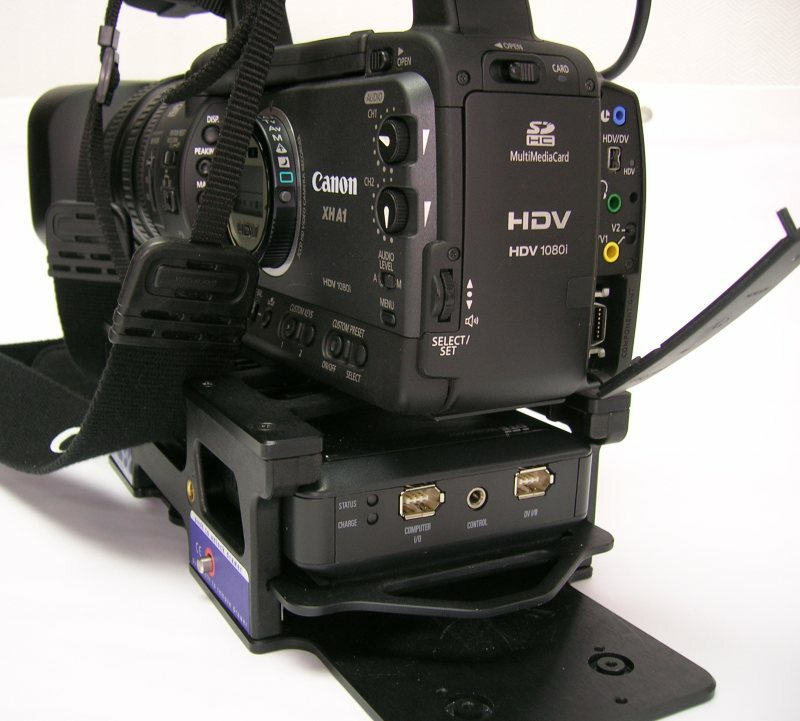 Recommendation 2: To help preserve the port from frequent plugging and unplugging, as well as possibly getting the cable caught and ripping it out of the camera, we also gave a recommendation of a short FireWire DV extension cable. It can also be considered a quick disconnect cable. A local commercial videographer came in with a similar problem, but he had a top mount FireStore FS-100. 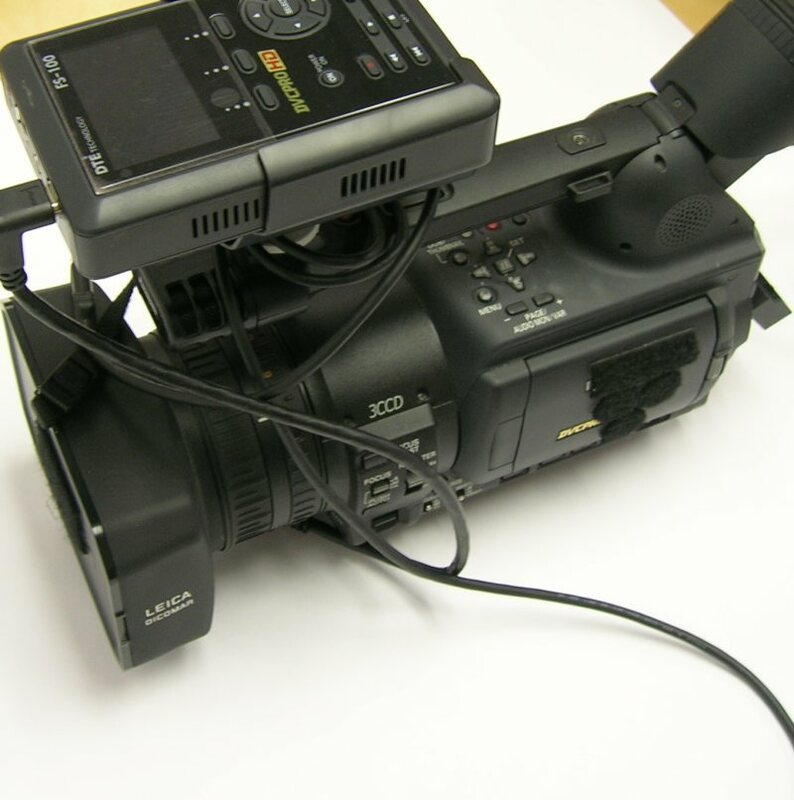 The problem he had, is that the cable came straight out of the front, (no angle), and then he had to wrap it a few times around the middle of the stand on top of his camera, and then route it to the back where it plugged in on the side. Recommendation: One of the things he found was most annoying, was that his cable was about 4 feet long; but he really only needed the length to be a total of about 24 inches. The cable that we found would angle towards the back of his camera, and thus keep it out of the way of his hand, and also out of the way of the controls on the back.